It’s the new generation material which goes beyond glass. 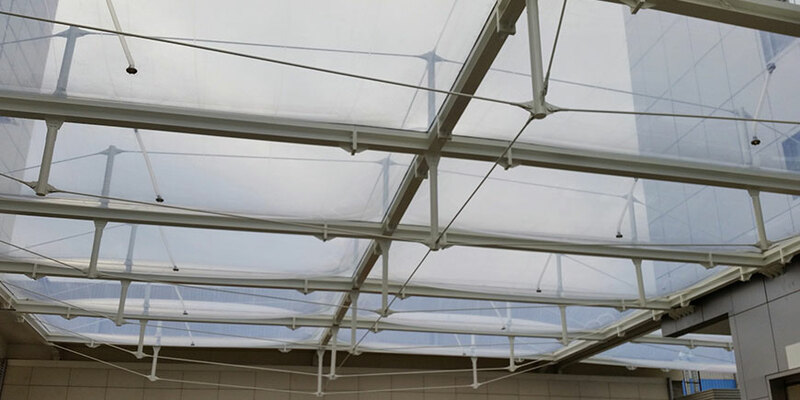 Perhaps the most recent development in the fabric structures arena is the introduction of ETFE (ethylene tetrafluoroethethylene), a transparent membrane with fabric like qualities and the advantages of PTFE, such as a self-cleaning capability. Resistant to atmospheric pollution and UV light, ETFE has a very long expected lifespan of more than 20 years. Effective thermal performance and high light transmission (95% visible light, 85% UV light) enable a range of applications where traditional materials, such as glass, would not be practical. It is more than 20 times lighter than glass and is ecologically friendly and energy efficient. It is 100% recyclable. Films of ETFE are used in wind roofs or covers to form an air pillow. The internal pressure of the air pillow and primary applied stress make it resistant against any force. 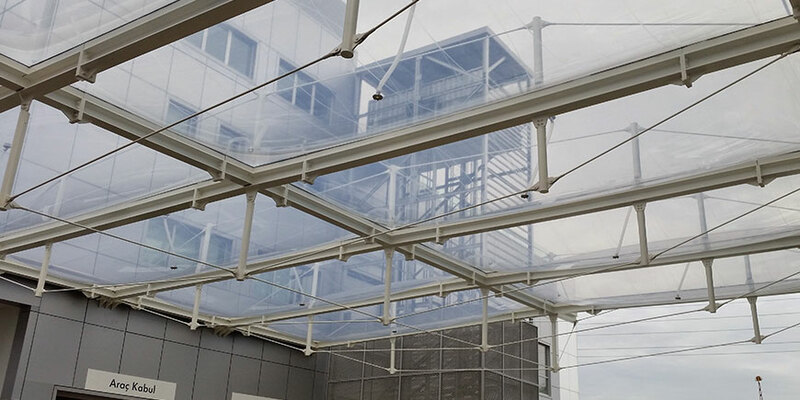 Printability is another feature of ETFE fabrics.